In January 2008 we took the train to NY to see friends and art. 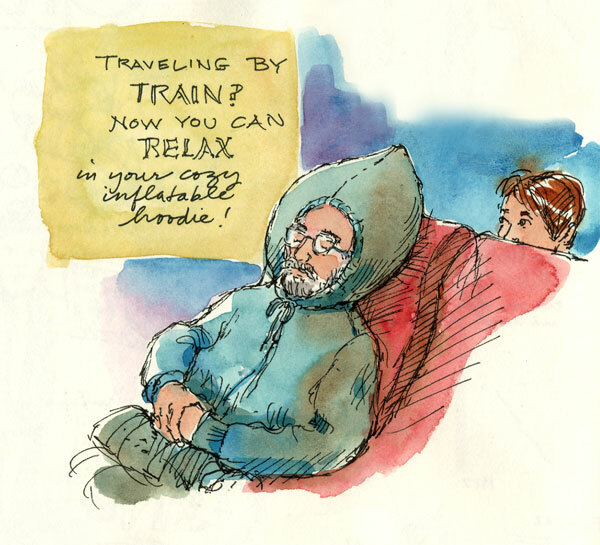 It was a pre-dawn departure, and my husband, trying to cat-nap, wished aloud that his hoodie had more cushioning. So I sketched this idea for him, which he said was NOT exactly what he had in mind, but I think it’s an awesome invention. I can’t understand why I don’t already see them everywhere. I would like one just for sitting on the sofa.